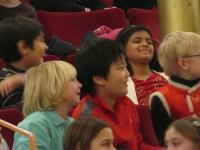 The Cincinnati Symphony Orchestra is a dynamic ensemble of some of the world's finest musicians. The fifth oldest orchestra in the U.S. and the oldest in Ohio, the CSO has played a leading role in the cultural life of Greater Cincinnati since its founding in 1895. Louis Langrée begins his tenure as CSO's 13th Music Director in the 2013-14 season. 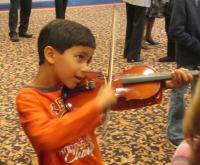 The CSO is committed to enhancing music education for the students of Greater Cincinnati and works to bring music education, in its many different forms, to as broad a public as possible. Education and community engagement programs serve more than 60,000 individuals annually. The CSO values and is committed to increasing diversity and inclusion in its orchestra and audience, its staff and board directors, its business partners and vendors, and to fostering diversity and inclusion in the community it serves. CSO was recently awarded the Non-Profit Organization Tri-State Regional Workplace Inclusion Award by Bridges for a Just Community and the Business Courier. One of 18 North American orchestras performing year-round, the CSO presents classical and Cincinnati Pops subscription concerts at historic Music Hall, summer performances at Riverbend Music Center and concerts throughout the region. 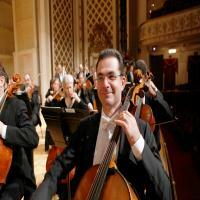 The CSO is also the official orchestra for the May Festival, Cincinnati Opera and Cincinnati Ballet. 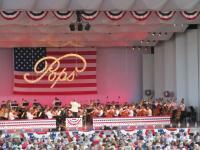 The CSO founded the Cincinnati Pops Orchestra in 1977 with Erich Kunzel, Founder and Conductor Emeritus. Today the Cincinnati Pops, under the direction of Conductor John Morris Russell, is one of the world's most active classical pops ensembles. A full-time Orchestra with full subscription and non-subscription concerts.